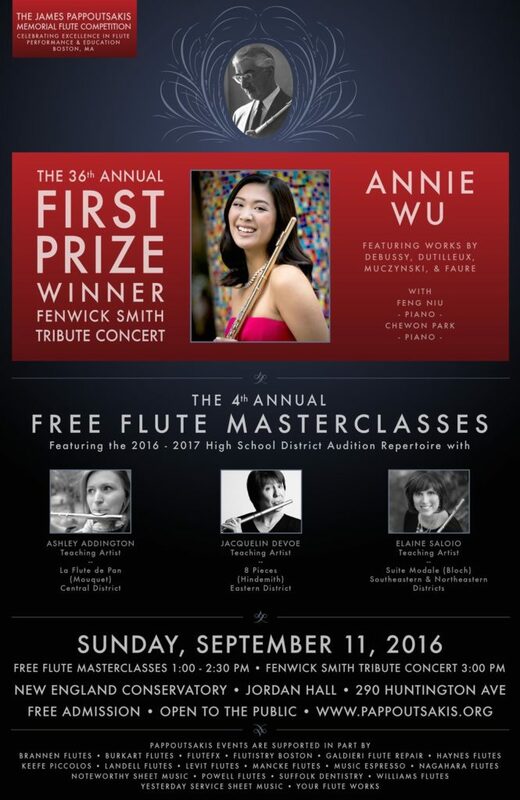 I’m excited to be teaching the 2016-2017 Central District Masterclass this year at the Pappoutsakis Memorial Competition’s Free Flute Masterclasses. It will be an exciting afternoon before last year’s winner, Annie Wu, performs a recital in Jordan Hall. Free and open to the public. I hope to see you there!